Largest supplier of new and used Komatsu spares in South Africa. 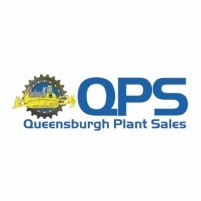 After having successfully run Queensburgh Plant Sales (QPS) in Durban for over 20 years, Mr Thorne decided to start up a branch in Gauteng, to try and attract customers in that area and also across our borders. A plot of land was bought in Bapsfontein in 1997 and Queensburgh Plant Sales (QPS) – Gauteng was born. As the main employees at that time were Komatsu trained, we decided to concentrate on Komatsu machines, as there was no one, apart from the agents, who was dealing in that brand at that time. After building up the business over several years, selling 2nd hand and recon Komatsu parts and machines, we decided to import new parts as well. We established a good relationship with spares companies in the Far East and our stock holding grew from there. We have stripped more than 500 machines for parts, and a variety of it can be seen on our Latest Breakers page, but we are always keen to hear of any machines that are for sale. However we do not only do Komatsu machines , as our Durban branch deals in all types and makes of earthmoving equipment. We have always undertaken the re-building of earthmoving machines, and have sold many over the years. We also do extensive repairs and refinishing of machines on behalf of our customers to extend machine life. Our customer base now includes companies throughout South Africa and abroad like Angola, Kenya, Botswana, Swaziland, Mozambique, Zimbabwe, Zambia, Malawi, Australia, Saudi-Arabia, Egypt, Jordan and the UK, and new customers is always welcome to contact us. We have embarked upon a highly successful service exchange programme, this was welcomed by our customers who needed to minimize the downtime of their machines. We carry a range of overhauled units for this purpose, i.e. engines, torque convertors, transmissions, hydraulic cylinders, axles, final drives, hydraulic pumps, motors, hydraulic valve banks, track adjusters, etc. all these units carry our standard warranty, as do our reconditioned machines.